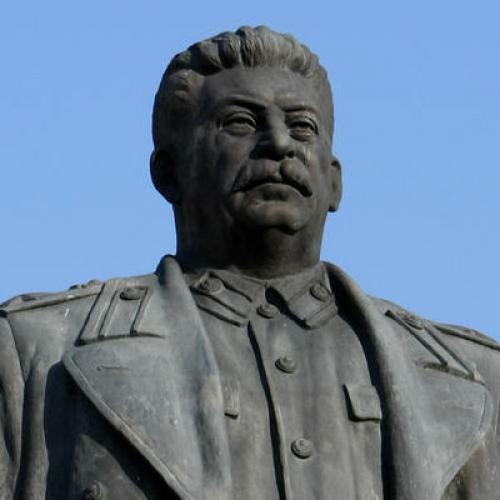 Could the plane crash bury Stalinism forever? Katyn was part of a pattern of Soviet policies directed against the Polish nation. For ten years, Poles within the Soviet Union had been targets of particular repression. In 1930, as the Soviet state began to take control of agriculture—“collectivization”—Poles were the first subjects of Soviet ethnic cleansing. They were dispatched from the western Soviet Union to Kazakhstan, where they died in the tens of thousands as collectivization produced famine. Tens of thousands more Poles died in Stalin’s deliberate starvation of Ukraine in 1932 and 1933. During Stalin’s Great Terror of 1937–1938, more than 100,000 people were shot as putative spies for Poland. The baseless rationale for these mass executions was that Poland was planning an aggressive war against the Soviet Union as an ally of Germany. But, of course, it was Stalin who allied with Hitler in 1939, allowing World War II to begin with their joint invasion of Poland. The Polish officers killed by the NKVD in Katyn had been fighting Nazi Germany. While the Soviets held the Polish officers in custody, they permitted the men to write their families—so that the NKVD could collect addresses. After their executions, their families were deported to the taiga of Siberia or the steppe of Kazakhstan, where many thousands of them died. They were among the more than 300,000 Polish citizens deported by the Soviets during the first two years of World War II. Katyn was the beginning of a regime of lies that prevailed in Poland for 50 years. After Hitler betrayed Stalin and the Germans invaded the Soviet Union in June 1941, Poland and the Soviet Union became uneasy allies. Stalin released men from the Gulag and allowed them to fight in the west. (One of these was Ryszard Kaczorowski, who died in the plane crash near Smolensk last week that killed 96 people, including Polish President Lech Kaczyński. Kaczorowski took part in the courageous charges on Monte Cassino in the Italian campaign.) But the Polish government-in-exile noticed that thousands of officers were missing. The Soviets denied all knowledge of their fate. When the Germans uncovered the NKVD shooting site at Katyn in April 1943, Stalin used the occasion to break diplomatic relations with the Polish government. If Poland did not accept the Soviet lie that this was a German crime, Poles could expect the worst from Stalin. Washington and London urged the Poles to accept the untruth, which left them alone with the truth. Once the Soviets defeated the Germans and installed their own government in postwar Poland, the lie about Katyn became the official history. The notion that the Germans rather than the Soviets had committed the crime was part of a larger story of the war, embraced in the communist world and also in the West, according to which the one aggressor and occupier had been Nazi Germany. The lie about Katyn was not only the propaganda keystone of communist control of Poland, it was essential to an entire scheme of history in which Soviet forces were liberators and nothing more. In the decades after the war, Katyn was the main entry in the unwritten encyclopedia of Polish history that circulated during the decades of communism. More perhaps than any other event, Katyn generated the desire for what many in the Solidarity movement of the 1980s called truth. Most of the Polish dignitaries who died in the plane crash near Smolensk were heirs of Solidarity, and they were traveling to commemorate the seventieth anniversary of a crime whose history they have instead joined. Anna Walentynowicz, who died in the crash, was a welder and crane operator at a shipyard in Gdańsk in communist Poland in the 1970s. She was fired in August 1980, a few months short of the time when she would have been eligible for her pension. Her colleagues protested, beginning the shipyard strike that soon spread throughout the country. The Solidarity movement, born then, was a joint creation of workers and intellectuals, such as the young lawyer Lech Kaczyński. Along with his brother Jarosław, he was a close adviser to Lech Wałęsa, the leader of the Solidarity movement. He was still among its chief organizers in the late 1980s, when Solidarity seized the opportunity provided by Gorbachev for peaceful and democratic change. During the decade that followed communism, the former Solidarity advisers divided among themselves and founded political parties. Lech Kaczyński was among those most concerned to make a clear break with the communist past, and bring to light the truth about Polish history. Elected mayor of Warsaw in 2002, he oversaw the construction of a museum of the Warsaw uprising, the struggle of the Polish Home Army against the German occupation of the capital. Elected president in 2005, he conducted a foreign policy that bordered on the self-righteous. He was often called a “nationalist,” but this does not quite meet the case. He was a kind of provincial universalist. He did not know foreign languages or much about the outside world, but he did believe that all nations needed to learn their own past and that truth was the key to international reconciliation. As president he was oversensitive and ineffective—but also stubbornly principled and entirely uncorrupt. When he embarked for Russia, he was seeking reconciliation on the basis of the truth about Katyn which Moscow itself has finally recognized. In the era of Vladimir Putin, Russia’s official position about the crimes of Stalinism has been, more or less, “This is our history, we were the victims, and so we can be the judges.” This is not quite right, and, after the crash, this position will be harder to maintain. Russians suffered enormously under Stalin, but they suffered less than the peoples of the Soviet periphery: Kazakhs, Ukrainians, Chechens, Poles. Consider the Great Terror in Leningrad, which prompted the most memorable poem of the Russian twentieth century, Anna Akhmatova’s “Requiem.” Akhmatova recalled an “innocent Russia” writhing “beneath the bloody boots of the executioners, beneath the wheels of the black marias.” Innocent Russia was a multinational country, and Poles in her city were 30 times more likely to be shot than Russians. Russians are right to recall that the forests of Smolensk have seen other tragedies, and on a greater scale. Smolensk is the site of the last important battle the Wehrmacht won on its way to Moscow. One million Soviet soldiers died defending their capital city. Smolensk marks the outer reach of the Holocaust by bullets, whereby the Germans killed Jews in the east. By the time they revealed the burial site at Katyn, the Germans had left behind thousands of death pits of their own, full of the corpses of murdered Jews. Each of these events has its own scale, its own specific horrors. The particular cruelty of Katyn was the attempt to exterminate the intellectual leadership of a nation. These Polish officers were usually reserve officers, which meant they were men with university degrees. The victims at Katyn were botanists, agronomists, neurologists, lawyers, engineers, surgeons, poets. This is one of the reasons why the crash at Smolensk so pains Poles. It appears that once again the nation has been decapitated. But this Polish elite, unlike any for two centuries, has left a healthy state and society to those who will follow. Although each of the victims is now missed and mourned, Polish politics can and will proceed without them. The truth about Katyn has now been accepted in Moscow and conveyed around the world. But, as Russian commentators have pointed out, no Russian politician has attended to the Russian victims of Stalinism the way that Kaczyński and others on that plane concerned themselves for its Polish victims. Putin and Medvedev now have an opening. They can guide Russia away from an official nostalgia for Stalin. Poles can help by recognizing and acknowledging that Katyn, despite its particular horror for the Polish nation, is but one of the crimes of the Stalinist era. The experience of Stalinism is, sadly, what Poles and Russians share. With these terrible deaths comes an opportunity to make better sense of a bitter past. Timothy Snyder is a professor of history at Yale University and a fellow at the Institute for Human Sciences in Vienna. His most recent book is The Red Prince: The Secret Lives of a Habsburg Archduke.